Airtel Pohela Boishakh Offer 2019! In Bangla Happy New Year 1426, BD Airtel brings special offer for their valuable customers. The Special offer named is "BanglaPohela Boishakh 2019 Offer". All Airtel customers can enjoy Pohela Boishakh Internet, Minute and SMS offer. Recharge 26 Taka and get 1426 MB Internet. So, Enjoy Airtel Happy New Year 2019. Dear Valuable user, Airtel always try to provide special offer for their users. Get Airtel Internet offer 2019, Pohela Boishak 2019 offer. Airtel 1426 MB Internet at only 26 Taka. To activate Pohela Boishakh offer. Recharge exactly 26 Taka. Recharge 26 Taka will not added to your main account balance. Pohela Boishakh Offer can be activated unlimited times during the offer period. Bangla New Year 2019 offer will run until further notice. Conclusion: We hope that you can active Pohela Boishakh Bundle offer 2019. If You face any problem to active Happy NEW Year offer 1426 then contact Airtel customers care. 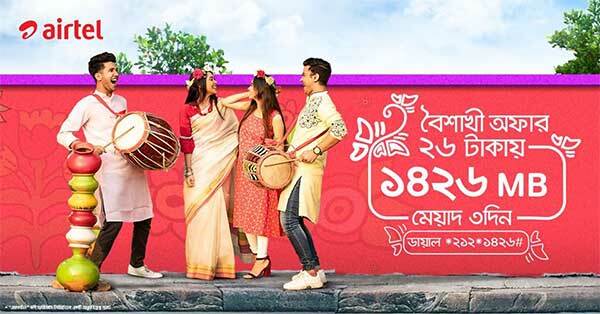 Banglalink Pohela Boishakh 2019 offer! All banglalink customers are eligible to enjoy Shuvo Noboborsho Offer 2019. Enjoy Happy New Year Internet Offer, Talk Time Offer and SMS Offer. Celebrate Bengali New Year with our new and improved network! The Boishakh celebrations have begun! And this Bengali New Year try out Banglalink’s new and improved network with 1426 MB internet for 49 Taka only! Activation code: *5000*588# or Recharge exact 49 Taka. To stop auto-renewal, type "renew off vol" and send SMS to 5000. All Banglalink Prepaid and Postpaid customers can enjoy Pohela Boishakh offer. After Pohela Boishakh Internet volume consumption, reduced Pay-as-you go will apply. Banglalink can change/close offer without any notice. Customers can enjoy Happy New Year 2019 Offer many times as they want within validity period. Conclusion: We hope that you can understand Banglalink Shuvo Noboborsho Offer 2019. Enjoy 1426 MB Internet 49 Taka Offer. For more offer visit: Banglalink.net . Thank You. Teletalk Pohela Boishakh Offer 2019! Teletalk brings Bangla Noboborso offer for their Prepaid customers. In this Teletalk Pohela Boishakh offer, Teletalk 1426 MB Internet, 26 Minute Talk-Time any local number and 26 SMS at only 26TK. All Teletalk Prepaid connection users are eligible to enjoy Pohela Boishakh Talk-time, SMS & Internet Offer 2019. To active Noboborso offer recharge exactly 26 Taka. For celebrating Bengali New year 1426, Teletalk has published Bangla Noboborsho offer 2019 .Are you looking Pohela Boishak bundle offer? Here you can find Teletalk Pohela Boishakh Internet offer, Minute offer and minute offer 2019. All prepaid customers are applicable for Pohela Boishakh Bundle offer. After activating Boishakhi offer, Customers will add 26 Minutes talktime, 26 SMS and 1426 MB Internet. The validity of bundle offer is 7 days (12/4/1997-18/4/2019). How to check Teletalk Pohela Boishakh Bundle Balance? To check the remaining bundle balance or offer , Just dial *152# or type "U" and send 111. All Teletalk prepaid subscribers can enjoy the offer. The offer will be available as long as 12 April 2019. Customers will revert to their package tariff after the offer ends. Conclusion: Here, we publish article for promotional purpose. If you want to know more Pohela Boishak offer then Visit www.teletalk.com.bd and also check latest Offer. Robi Bondho SIM Offer 2019. Now Robi inactive user can get 3GB Internet offer and Special call rate offer. Robi NEW Bondho SIM Offer eligible customers can get 3 GB Internet at 48 Taka Recharge and lowest call rate offer. Robi off SIM reactivation user will get Unlimited times within campaing period. To enjoy Robi Closed/Bondho SIM offer 2019, Robi Customers first need to recharge 48 Taka. Robi is the 2nd largest mobile operator in Bangladesh. Robi has many users who do not use their sim card. Robi Axiata Ltd wants to increase their customers. In this purpose, Robi brings Winback offer 2019. You know that Robi & Airtel are marses in one operator. Airtel also provides Airtel Bondho SIM offer BD. Normally, Robi Prepaid SIM connection user who has been not using their SIM card at least 60 days or more can eligible for this Bondho offer. Robi Customer can check Bondho sim offer by sending an SMS. Customers need to write a message in a format to Robi Bondho SIM Offer check eligibility for the offer or not. On return message, you will know you eligible or not. Customers will get a reply SMS. Read the reply SMS, If Customers are eligible for the closed sim offer, then they can enjoy the reactivation offer 2018. After activation, Customers can enjoy Bondho SIM Internet offer. 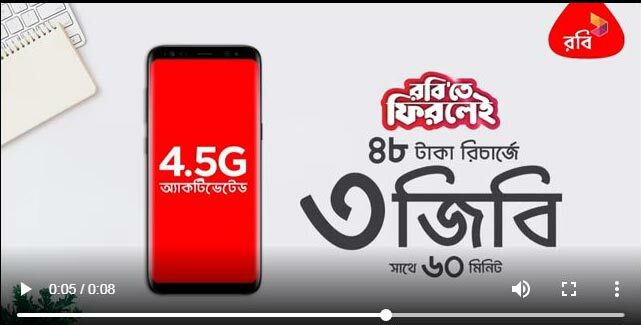 Robi Bondho SIM internet offer 2019. Customers will get 3GB Data volume by recharging 48 Taka. Recharge 48 Tk to get special call rate offer. Robi - Other: 60 Poisha/Min. Customers must need to biometric their SIM card to enjoy this offer. If You do not active Bondho sim offer in every month, You can not get the bonus internet next month. If you do not recharge 48Tk call rate will be 21 Paisa per 10 sec for any operator. This is a promotional offer for Robi users. Thank you for reading Robi Bondho SIM offer 2019 check & activation article, if you any problem to active Robi Closed SIM offer a comment below. Dear Visitor, This post is up to date. Please Check ROBI GOTI 36 Package Migration, Call Rates. Are You searching Robi New Prepaid Package Call Rate? In this post, we have written about Best call rate and Special call rate. After reading this article, You can know the best call rate offer for Robi Prepaid SIM Card. Robi always provides the best call rate in two ways. One way is to recharge exactly amount and another way is changing package. You will know that all call rate, Tarif Plan and others rate are controlled by BTRC. Existing customers can enjoy Flat Rate Offer by recharging an exact amount. After successfully changing prepaid package users can special call rate at any times. Robi provides some condition to enjoy special call rate. They Provide 3 days, 7 days, and 30 days validity call rate offer. After the validity period end, Customers will go back to their previous Tarif Plan. So, Continue Robi special call rate recharge again within the validity period. Customers can enjoy Special promotional rate by the recharging exact amount. Other prepaid customers can migrate to Goti 36 package. NO FnF and/or Priyo numbers will change. If the customers have any bonus talk-time/bundle minutes, then those will be consumed first. Other service rates (like SMS, MMS, Data, etc.) will remain unchanged. 10-sec pulse will be applicable. SD, SC, and VAT are applicable. Robi is updated NEW Prepaid Package that is "Goti 36". In this Robi Goti 36 Prepaid Package, Robi users can enjoy 21.5 poisa/10 sec to any local numbers 24 hours. It’s the best-prepaid package to talk any operator. Robi Goti 36 package has Flat call offer. To know about Robi Goti 36 call rate, Migration Process follow this article. Only Robi Goti 36 package users can enjoy 21.5 Poisa Flat rates to any local number, 24 hours. So, Enjoy Robi Special call rate Migrate this Package. How to migrate Robi Goti 36 Package? Robi prepaid customers who are currently not under Goti 36 tariff plan can migrate to Goti 36. Robi users can migrate Package at any Time. Dial Robi Goti 36 Migration code *8999*36# (Migration Charge is Free) to change package from any prepaid Package. FnF and Super FnF Number Remain Same. So do not need to change/Add. Customers cannot change back the previous package within 24 hours. SD, SC, and VAT are applicable to all charges. Thank You. We have written full information about Goti 36 Prepaid Package. We recommend that visit Robi official site to know Robi Goti Package more info. Airtel is an Indian Telecommunication Company. 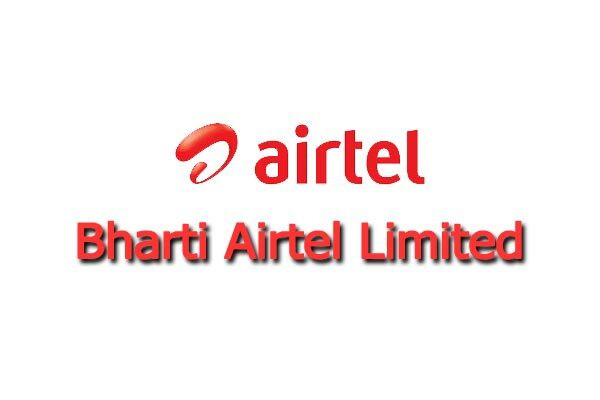 In Bangladesh, Airtel is Known as Bharti Airtel Limited. In 2018, Airtel and Robi marges in one Telecom company in Bangladesh. Now, Airtel is a brand under Robi Axiata Limited. Airtel is No.1 4G Network in Bangladesh. They Provide GSM, 3G, 4G LTE Network services. They provide 65 distinct 4.5G Network in Bangladesh. Now, Airtel proves various attractive Bundle offer, Internet package, and other VAS service. Most of the Airtel users are the Young Generation. So, they try to give a special offer to their customers.